Dubai is going to be ultra hi-tech from this summer, when passenger drones will start flying commercially on the sky. With the passenger drones buzzing through the skyline of Dubai from July this year, it will get a futuristic city-state appearance. The made-in-China EHang 184 has made its flying debut over Dubai’s iconic Burj al-Arab skyscraper hotel. Apart from that, the authorities in Dubai have partnered with several technology companies. Also, the city has the longest driverless metro line in the world. These steps certainly indicate how the Emirati city is keen to get a futuristic transport system. Dubai’s Road and Transportation Agency’s head Mattar al-Tayer has announced plans to fly drones regularly at the World Government Summit. The drones will act just like the taxis in our country. One difference will be they will use no roads but the sky. 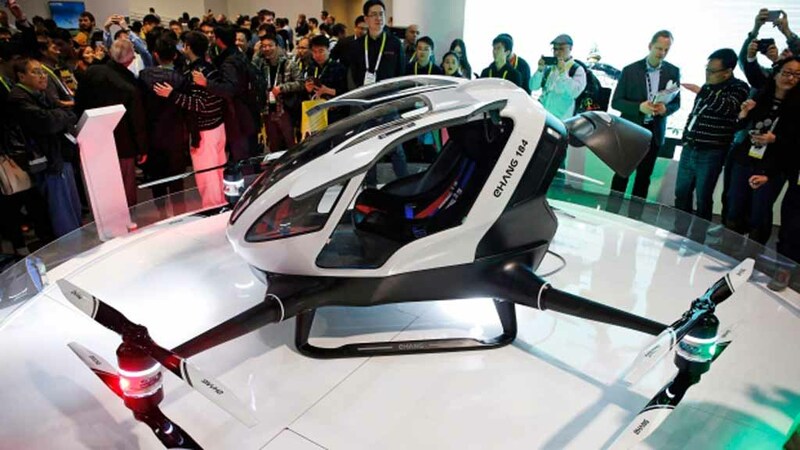 The drone comes with an egg-shaped cabin and it has four stands for landing. The craft comes with a top speed of 160 kmph and it can fly a 50 kilometer range at one stretch. The drone has eight propellers helping it to fly. It can carry a passenger with weight of nearly 100 kg and a suitcase also. 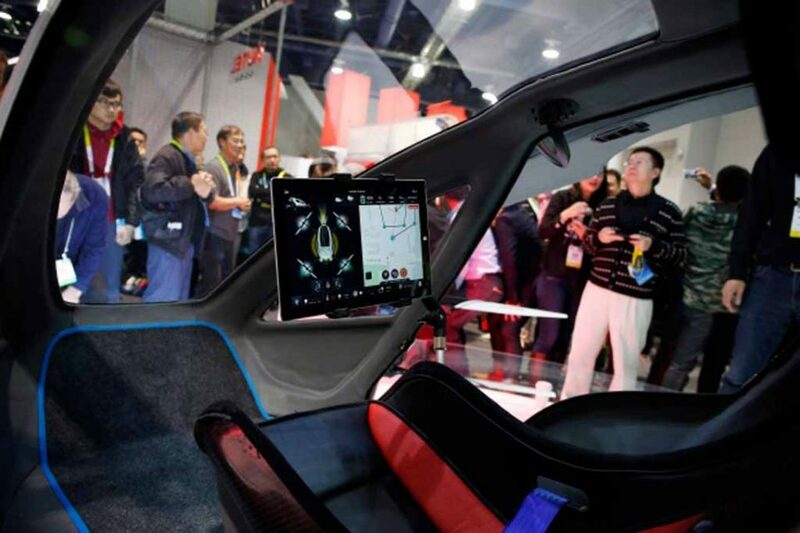 The craft comes with a racing car style seat and the cabin can afford a single passenger. The Road and Transportation Agency of Dubai claims that the craft will be typically fly at a speed of 100 kmph. The passenger will be able to select his/her destination location on a touchscreen pad in front of him inside the cabin. After giving the location, the drone will automatically fly to the destination. No wonder, upon the launch of this commercial drone service the transportation system will enter into a new chapter.